Hey you DIY junkies! A couple days ago I participated in #Chichats via Twitter hosted by event extraordinaires, Cece and Melinda. The topic was pampering and they asked a series of questions regarding salons, spas and relaxing. While I love a good massage or new hairstyle, I also love saving a buck by making my own remedies. Don’t get me wrong I would never trust myself with cutting my own hair but when it comes to hair masks, we all can conquer! 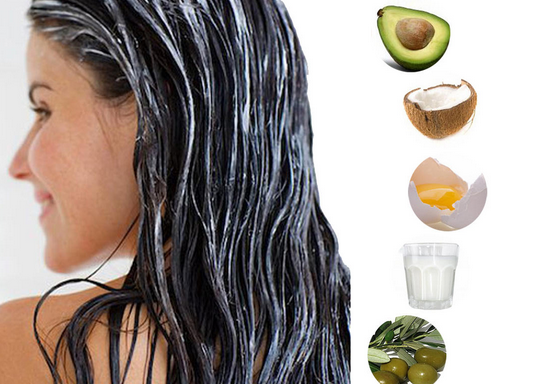 Hair masks are easy to create and the best part is you can alter your recipe depending on allergies or even what is in your fridge. Depending on hair length you may need to double to recipe. If possible use a blender to evenly mix ingredients together. If not, make sure to really smooth ingredients such as avocado. This avoids clumps of avocado to get stuck. To apply, section your hair into quarters and apply from root to ends. Do not leave a mask on too long because the ingredients will dry and harden causing a mess. Let it sit for about 20-25 minutes. Style and lock in the essentials oils. Avoid washing for at least 24 hrs. Here is a list of some masks I use at home about once or twice a week. Avocado has essential oils that are great for shine! Bananas carry many vitamins that are crucial to our health. This mask will help split-ends and breakage! Eggs carry protein that will strengthen hair and prevent from hair loss and bring shine! Refrigerate before use. This is a great moisturizer and will combat frizz! Great for hair growth and aids in shine! Hope you enjoy the masks! You can even mix and match some of the recipes together. Let me know if you have any favorites! For more beauty secrets check my Pintrest beauty board out!